Professor Kashyap is called Father of Indian Bryology. He was born in Punjab in 1882. He obtained his M.Sc. degree in Botany from Punjab and went to Cambridge University for further studies. After completing his research degree he joined Govt. College Lahore. 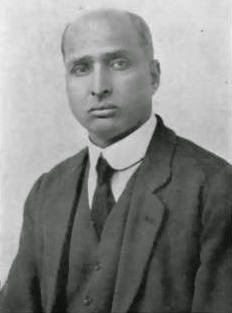 Professor Kashyap was first secretary of Indian Botanical Society. He was President of Indian Science Congress in 1932. Although he did some work on Pteridophyta also, he is known mainly for the work on Bryophyta. Two of his books are very famous-'Liverworts of Western Himalayas and Punjab Plains' Part I (1929) (S.R. Kashyap) and Part II (1932) (Kashyap and Chopra). He discovered some new genera and many new species of Bryophyta. His theory of Retrogressive Evolution in Liverworts (Marchantiales) is well accepted by bryologists of the world.